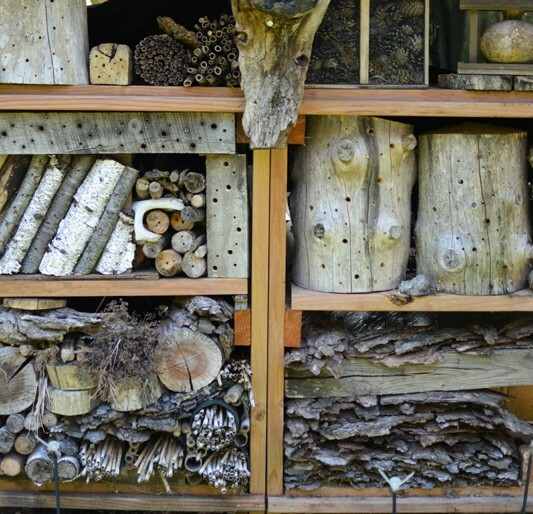 It’s easy to whisper these words to yourself while weaving your car to Gravel Springs Road, the hard part is continuing to mumble them when you slide your car into the driveway in the idyllic countryside and you actually see the hives and sense all of the little stingers that live inside. Luckily, I was being introduced to these amazing creatures by Jim Herget, retired JHS biology teacher and current instructor extraordinaire at MacMurray College. 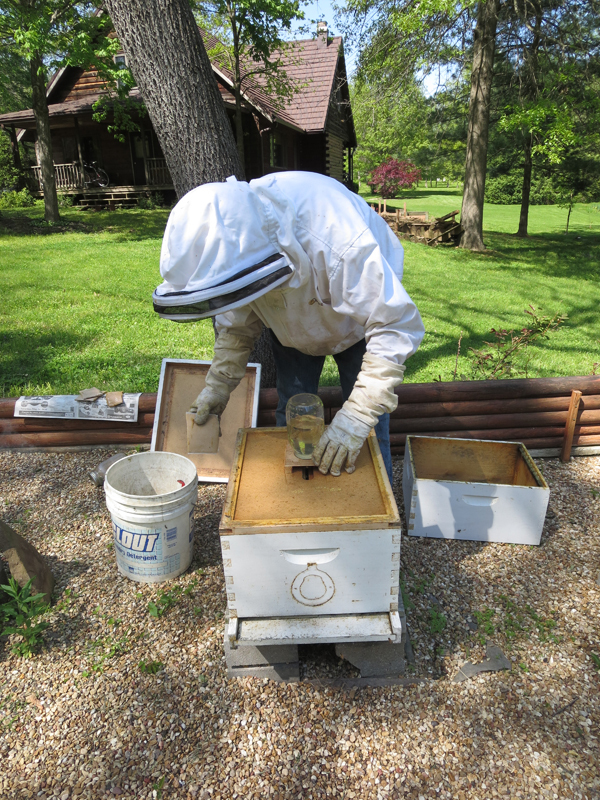 I have been mildly bee-obsessed since childhood thanks to a repeat-watching of the honey episode of “Reading Rainbow,” so this was finally my shot to see some honey-production in action. 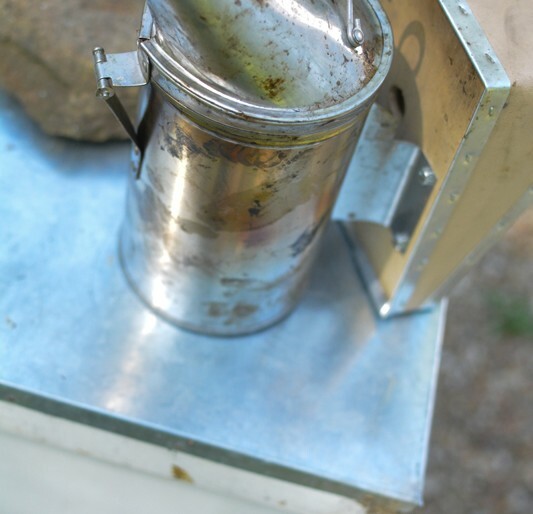 A warm welcome to the Herget hives is not complete without a short bee lesson outlining the different types of pollen collected by the bees as well as bee nutrition. 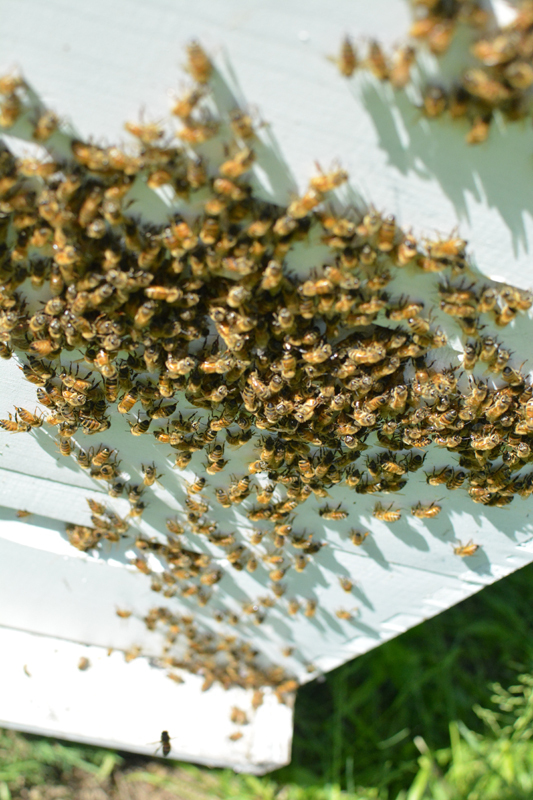 Many types of bees are welcome at the Herget household. 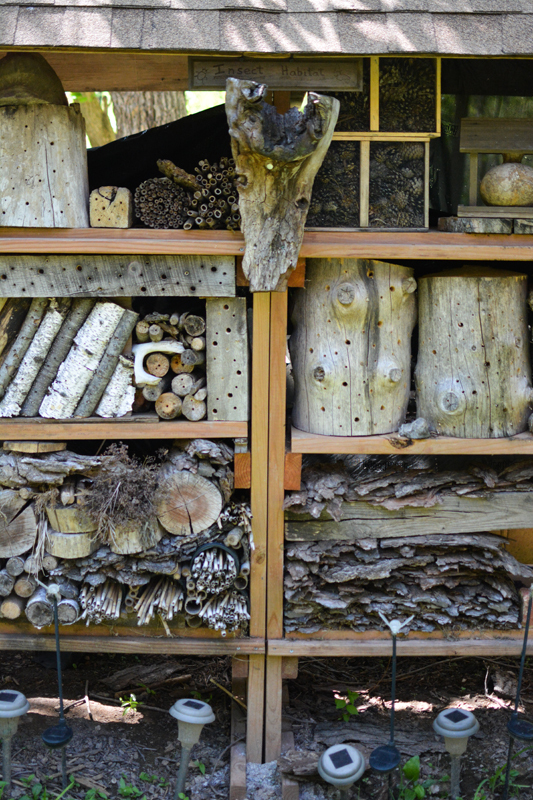 These deluxe condos for bees are for a more solitary variety that are native to this area. 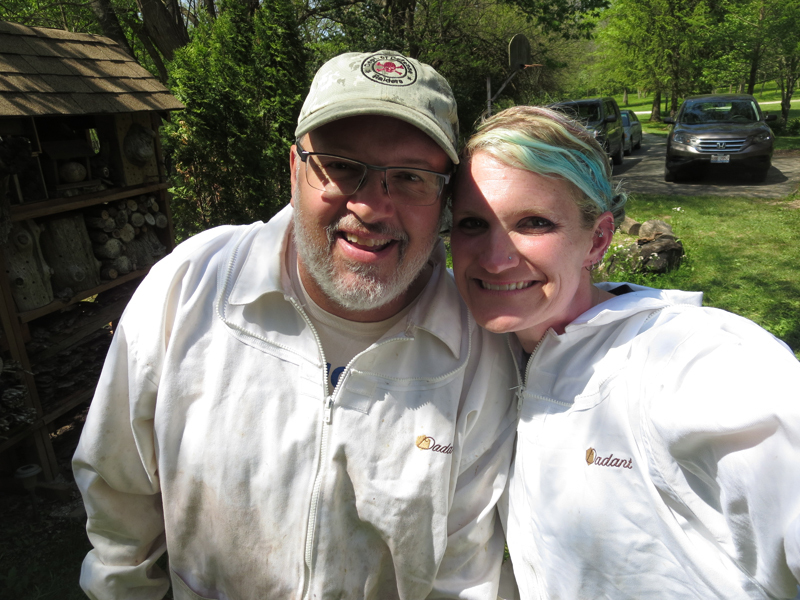 Within minutes, Herget had me suited up like the beekeeper of my dreams and we were cracking open our first of four hives. 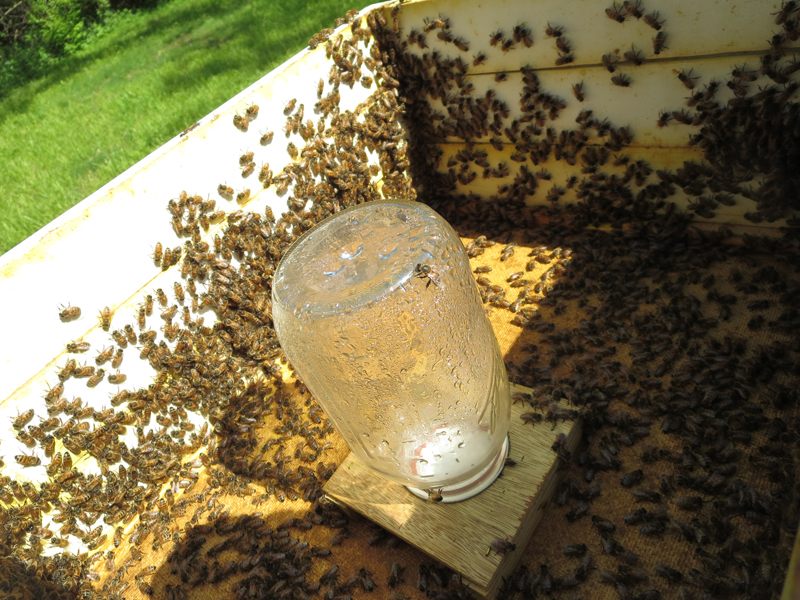 We began slowly, with the youngest hive that contained the smallest amount of honeybees, which was brilliant on his part. 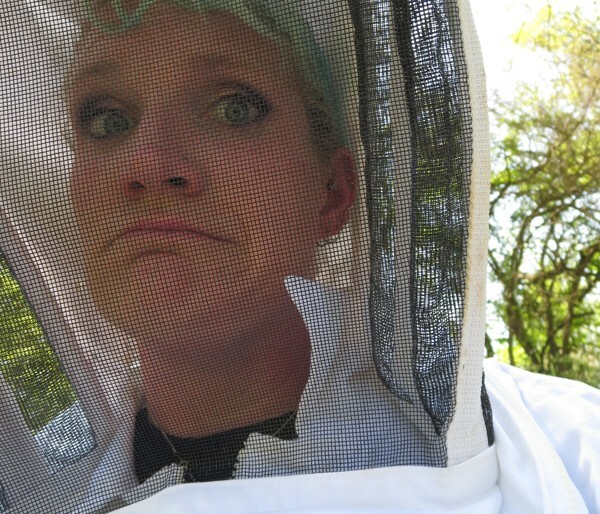 Panic level: 3 out of 10, not too bad, with my curiosity level squashing my fear. 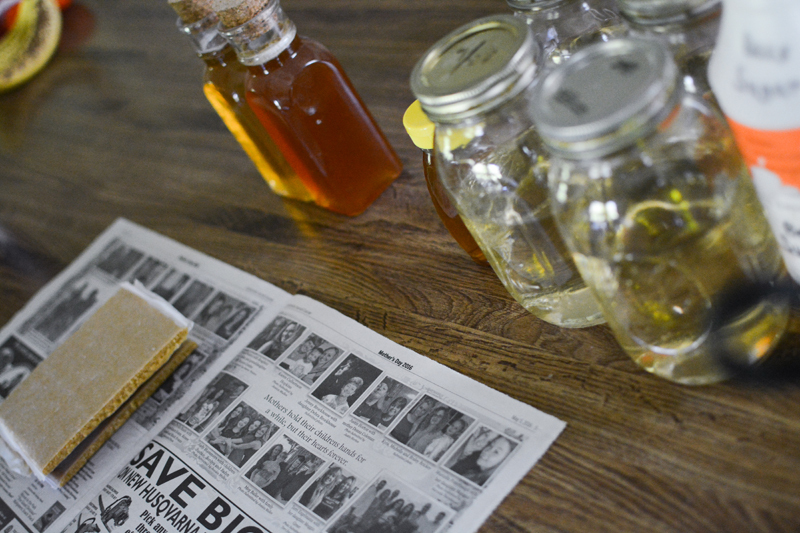 Herget’s trusty smoker, filled with ignited burlap, was a constant staple in our bag of tools. 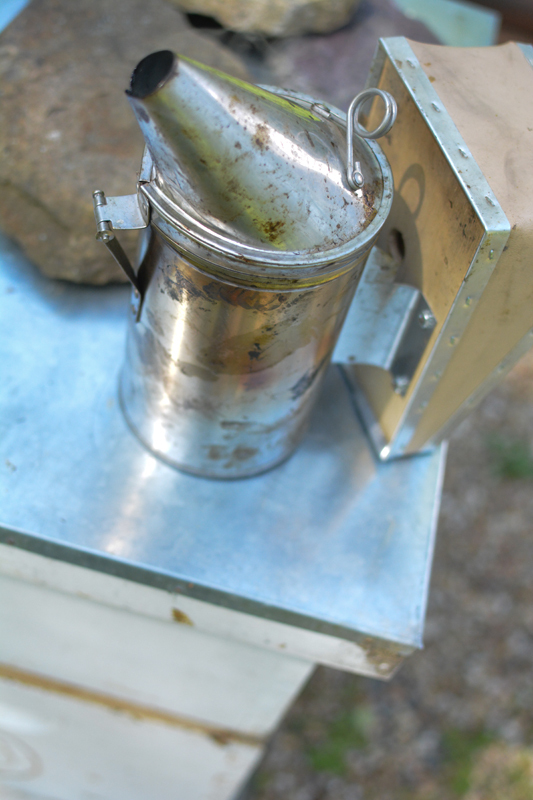 The smoke calms the bees so that the hives can be opened and inspected more easily. 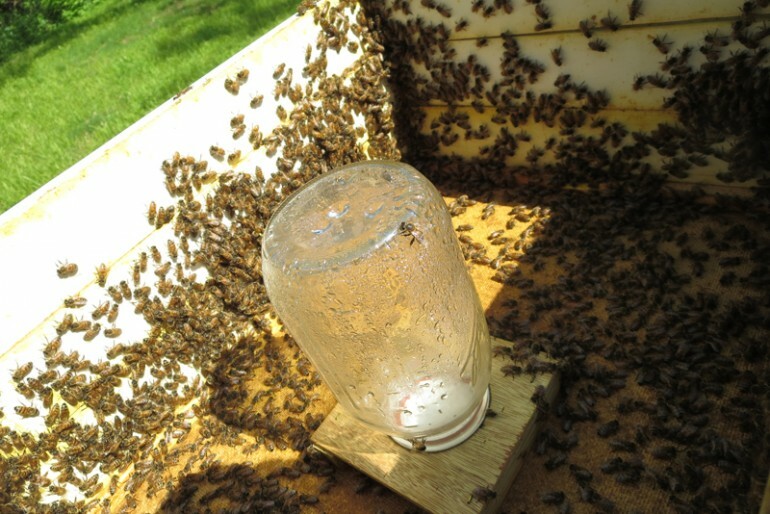 If the first hive we opened was a cool cocktail party, the third hive was reaching fraternity party proportions. 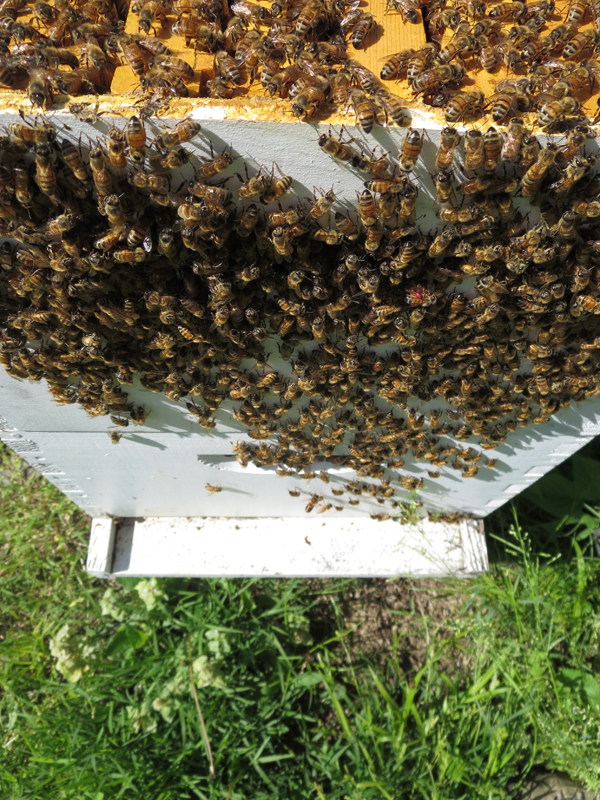 By this time, Herget had convinced me that I was not only capable of getting close enough to take photos, but that I should be opening the hives, removing frames and looking for the queen with my face inches away from the teeming hoard of bees. 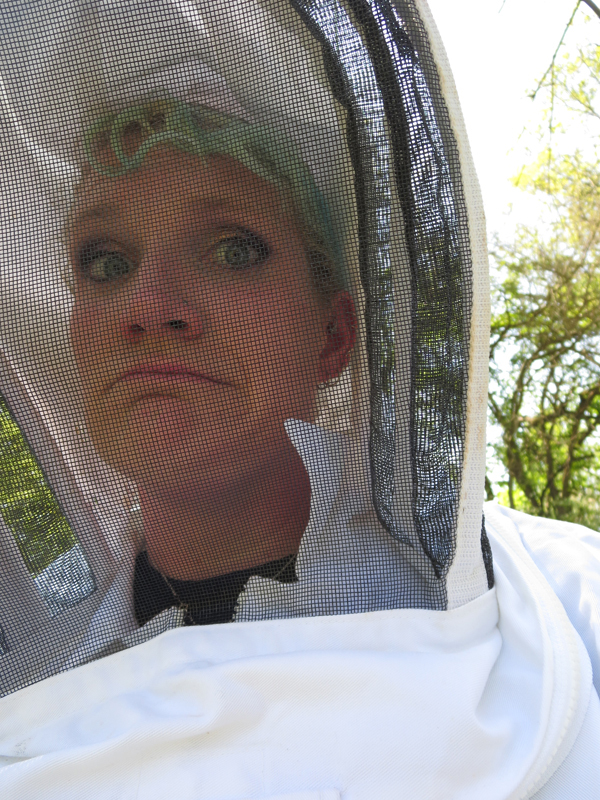 I assure you, I was still freaking out a little; there’s something about a colony of bees that are humming so loud that you can barely hear your own thoughts that is awe-inspiring and petrifying at the same time. Luckily for you, I have no shame in showing you my awkward fear. After some close inspection … success! 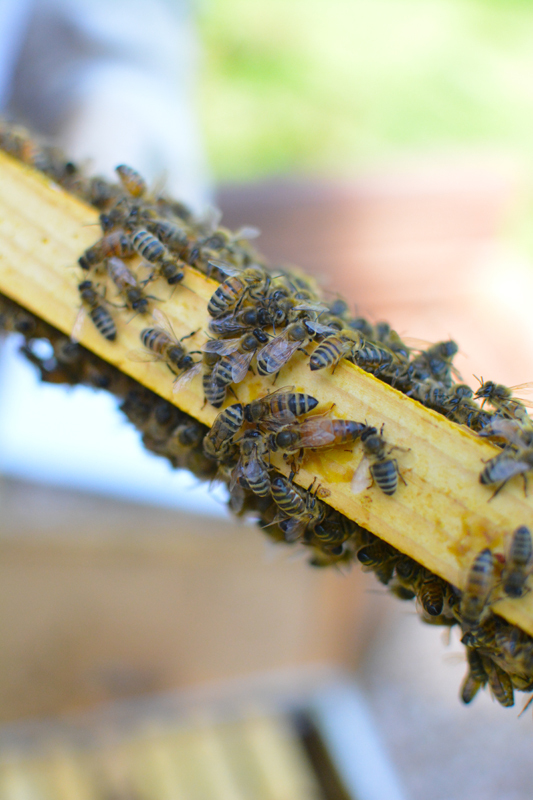 The matriarch of the hive, the queen bee in charge, was finally spotted. 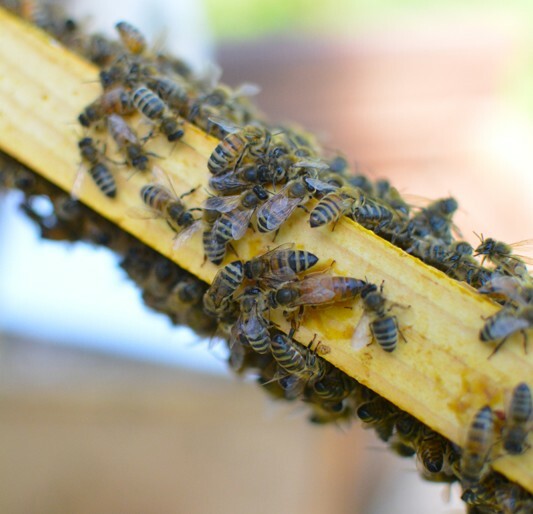 Her elongated abdomen sets her apart from the rest of the hive. 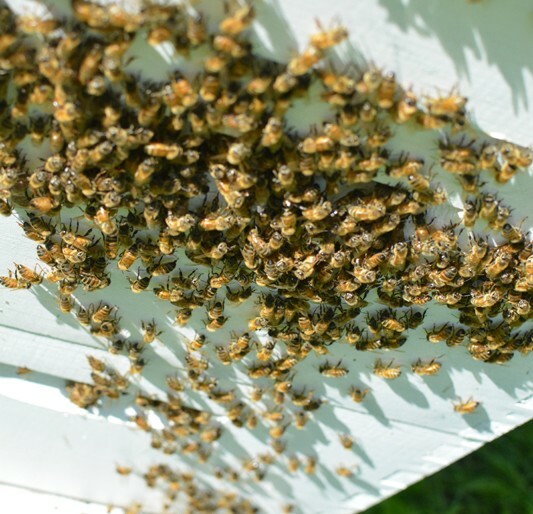 Thousands upon thousands of bees enter, exit and pulse inside the hive, creating an amazing little wonderland. 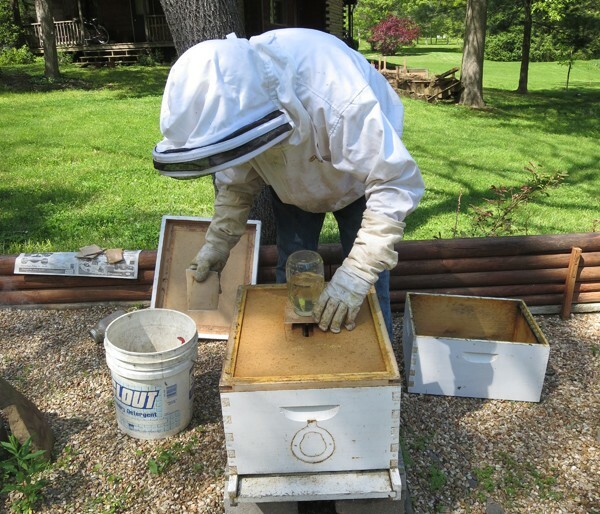 During our adventure, Herget excitedly found some new queen cells that had been formed in the hive in order to birth a new queen. Based upon his amazing reaction, I can only assume that this was like getting a royal flush in poker, finding a $50 in your pocket and discovering an untouched candy bar in your desk drawer that you forgot about. Magic! 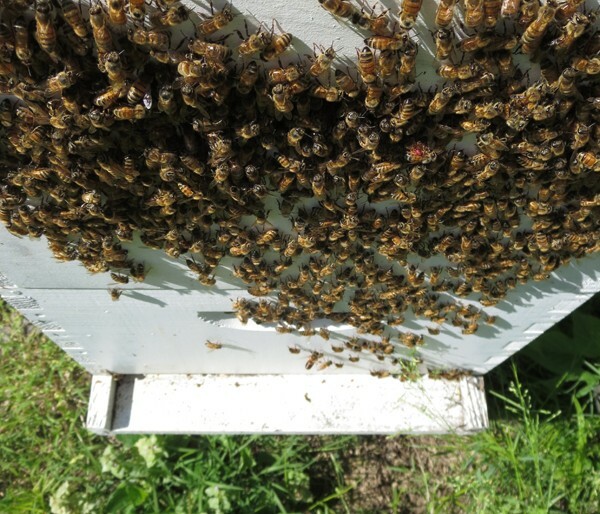 So many bees, you guys. So many. 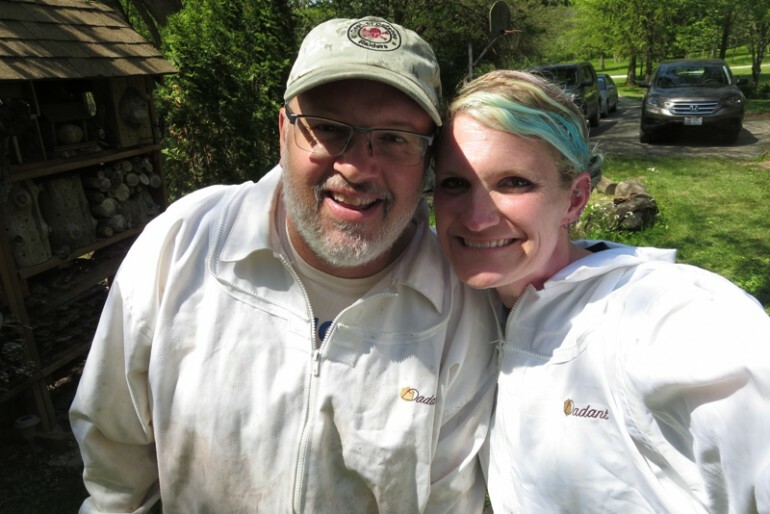 I can’t begin to thank Jim Herget enough for showing me the amazing workings of the inside of the hive and teaching me in his effortless way that is both exciting and entertaining.